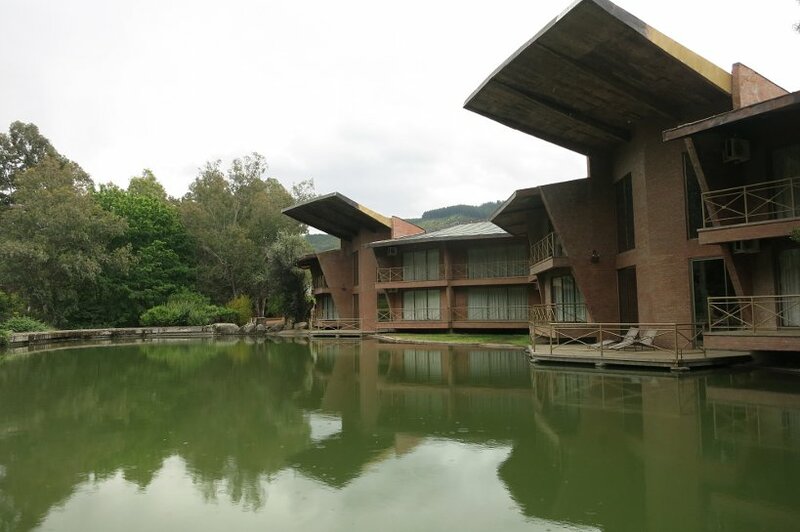 Our trip into Chile began with a 16-hour bus ride from Bariloche, Argentina to Talca, Chile. 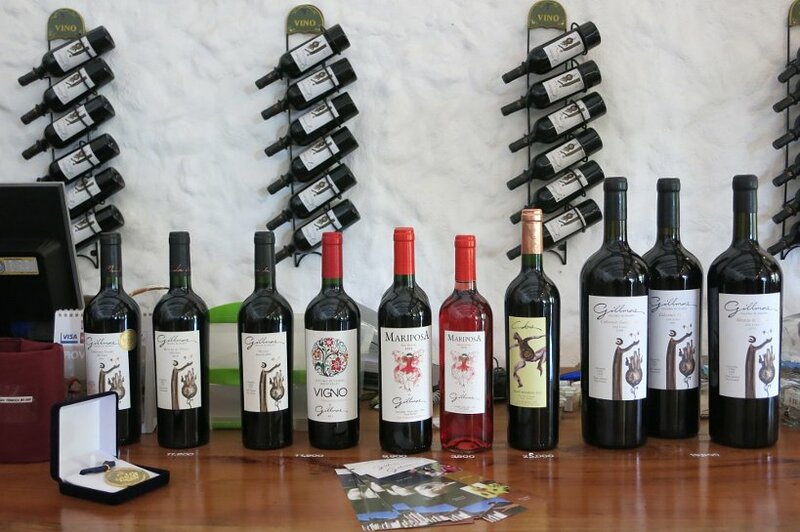 Talca is located in Maule Valley, one of Chile wine regions. 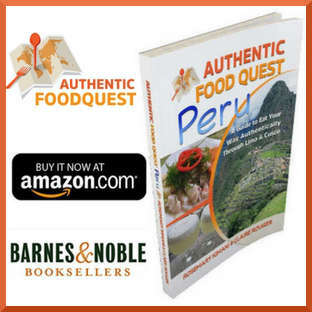 We left at about 2:00pm in the afternoon and drove through the Andes mountains to arrive the next morning at about 7:15am. 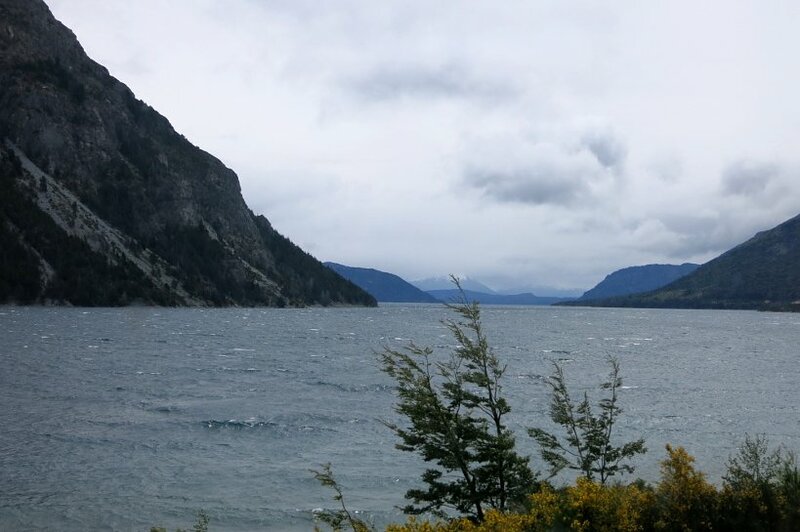 While it was a long trip, we were rewarded with breathtaking and spectacular views from the lakes surrounding Bariloche and from the Andes, despite periods of heavy rain. Crossing the Argentina/Chile border was one of the most interesting travel experiences we’ve had on our quest thus far. The bus came to a complete stop and everyone on board was asked to leave the bus with our bags (hand luggage). We all formed a queue and waited to get our passports stamped. In the meantime, the bus driver and staff proceeded to open up the baggage compartment and remove each and every single piece of luggage. While this was going on separately from the passport control area, customs and borders officials were asking everyone to declare if they had any fruits, seeds, ham or other banned items. To be sure and verify, “sniffing dogs” were used on all bags. A second check was conducted where everyone was asked to identify their luggage and open it up for further inspection. 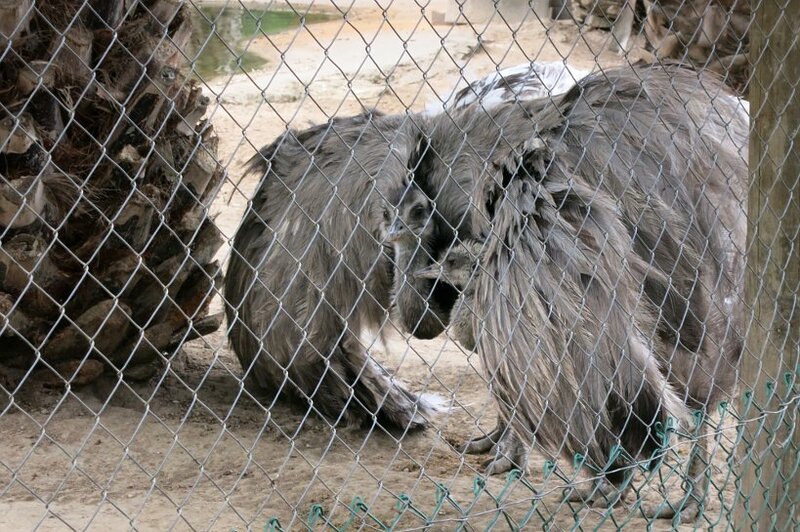 The whole process was very thorough but notoriously slow. 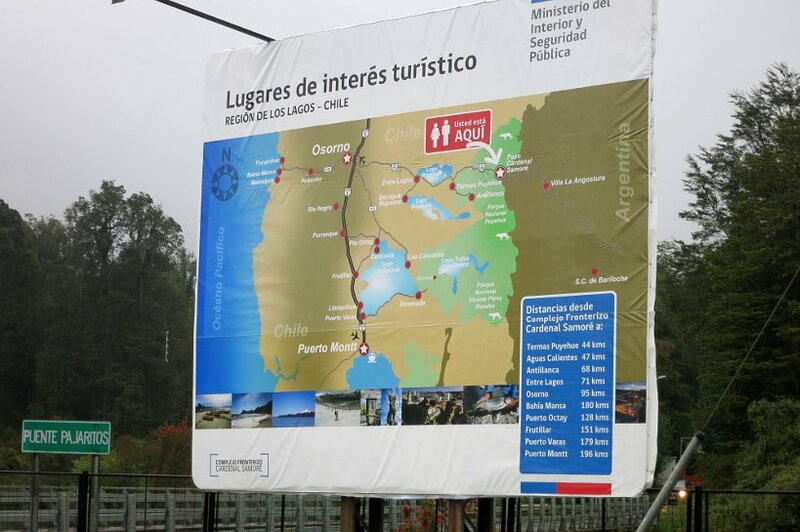 It was very surprising to see how strict Chile is about what people can bring in with them. We finally arrived in Talca and the bus dropped us off at a gas station close to the highway. We were lucky to find a taxi driver who just happen to be there. Unfortunately, before we left Argentina, we didn’t have the chance to get some Chilean pesos and the taxi driver told us he would not accept Argentina pesos. What we thought was good fortune quickly faded away. As we prepared our backpacks to walk, the driver changed his mind and offered to give us a free ride. We must have looked a bit lost, left by ourselves at a gas station 🙂 What a first nice encounter with the Chilean people! We got settled with our airbnb host who had prepared a huge breakfast for us: eggs, avocados, bread, fresh homemade cheese…Yum! Definitively a great start in our new country. Why Talca, you might be wondering? 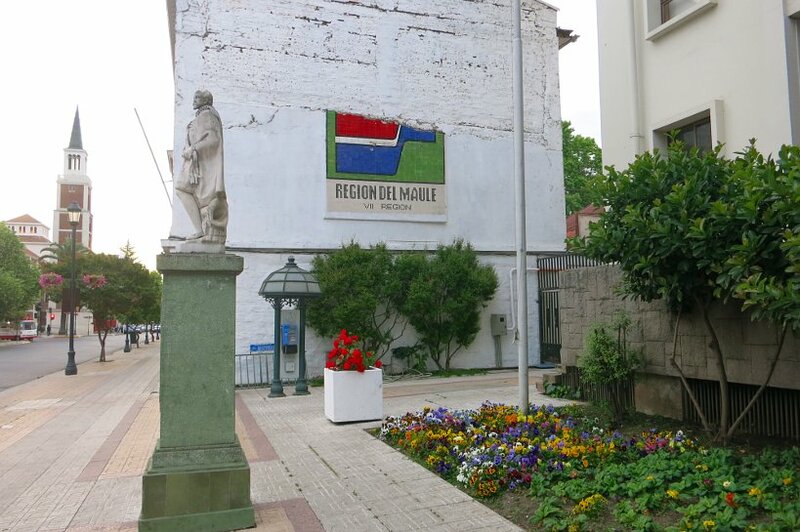 We chose to make Talca our first stop in Chile for two main reasons. 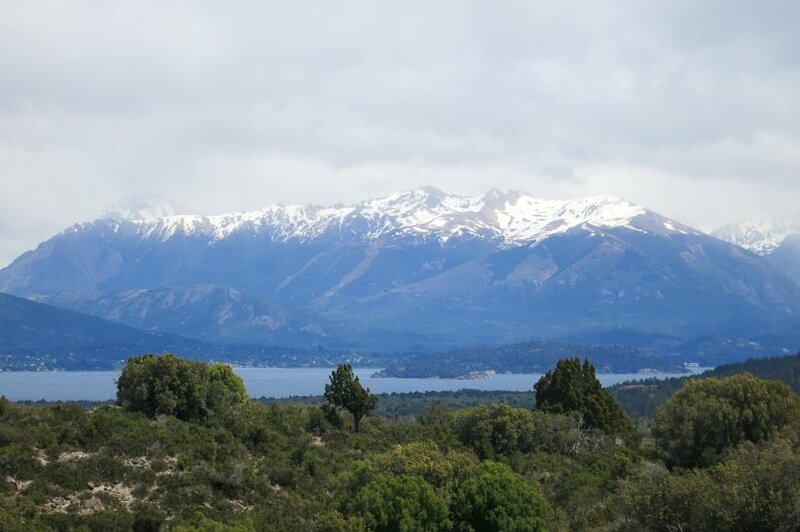 The practical answer is that it was relatively easy to get to from Bariloche, Argentina. 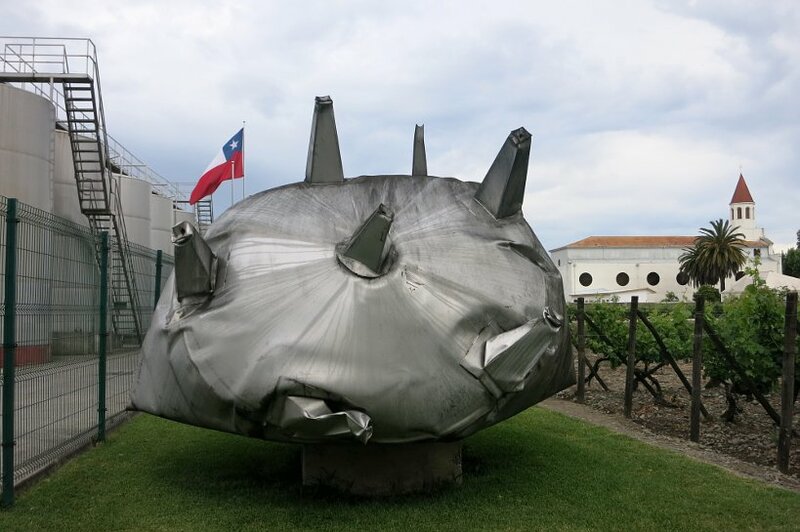 Secondly, Talca is the base city to explore the Chilean wines of Maule Valley, which is where Chile’s first vines were planted in the late 16th century. One thing that should be noted is that Talca is a very important city in Chile. It is actually the birthplace of the country. In 1818, Chilean Independence was declared by Bernardo O’Higgins in Talca. The building in which this occurred is now Museo O’Higginiano y de Bellas Artes. 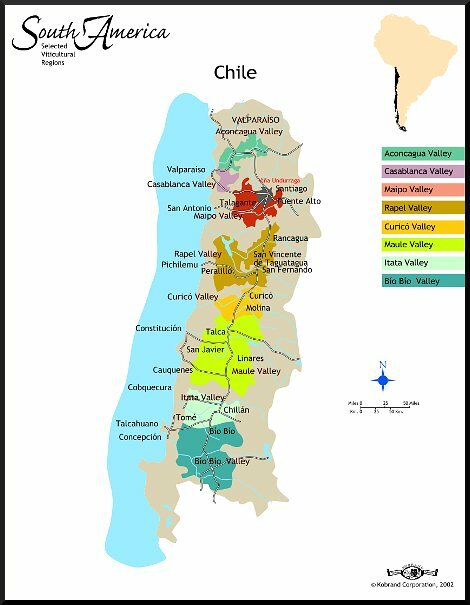 Chile has an impressive number of wine regions… 14 wine regions spanning nearly 1000 miles of various climates from north to south. Maule Valley is in the middle section of Chile and is the largest and one of the oldest wine regions. 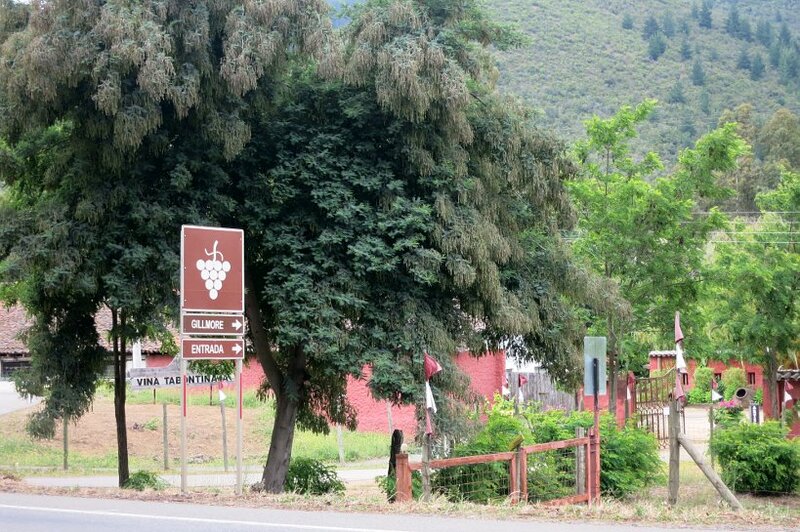 The valley has a rich wine tradition and is home to many long-standing, family-run vineyards. Since we don’t really know much about Chilean wines, except for Concha y Toro which is commonly available in the U.S., we were eager to learn more. 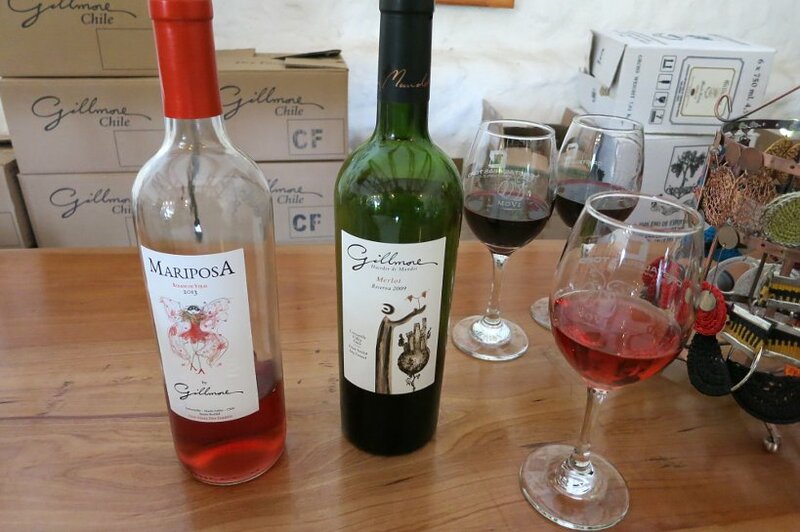 We visited two family-run vineyards, Balduzzi and Gillmore to get an initial taste of Chilean wines. One of the simple reasons we chose to visit Gillmore Wines is because of the good correspondence we had while making a reservation. 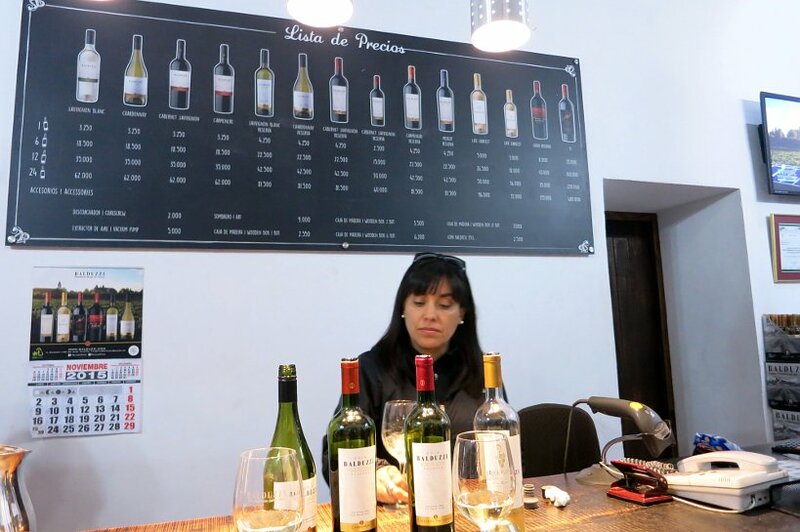 When doing our research and looking at wineries to visit in Maule valley, we quickly realized that visits are made preferably with appointments. 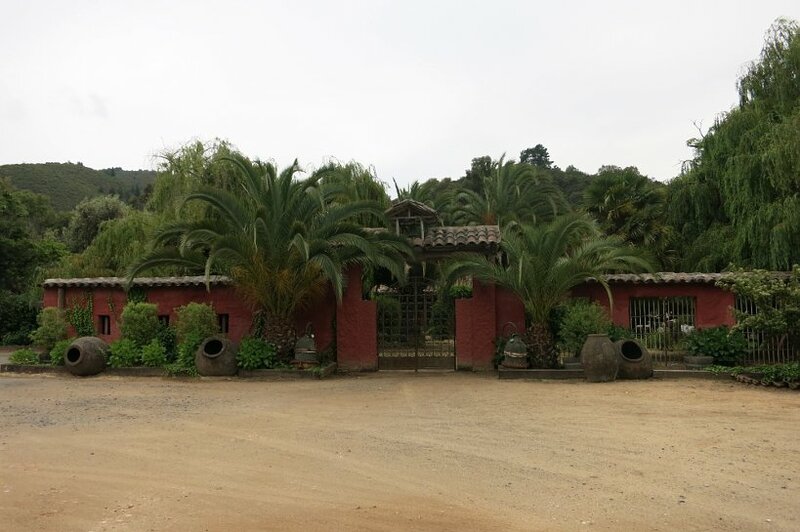 The fact that we got a response to confirm a reservation at almost midnight, from Daniela Gillmore, daughter and co-owner of the vineyard, made this a must visit winery. Another, reason is that it was possible to visit the winery via local transportation. Our experience with local buses was again a testimony to the friendliness of Chilean people and their desire to help foreigners like us. The bus driver dropped us and picked us up from the wineries off the side of the road where there was no specific stops for the buses. What a nice gesture! We didn’t have any expectations from our visit, other than getting an initial introduction to the wines from Chile. The tour ended up being a private tour in Spanish. 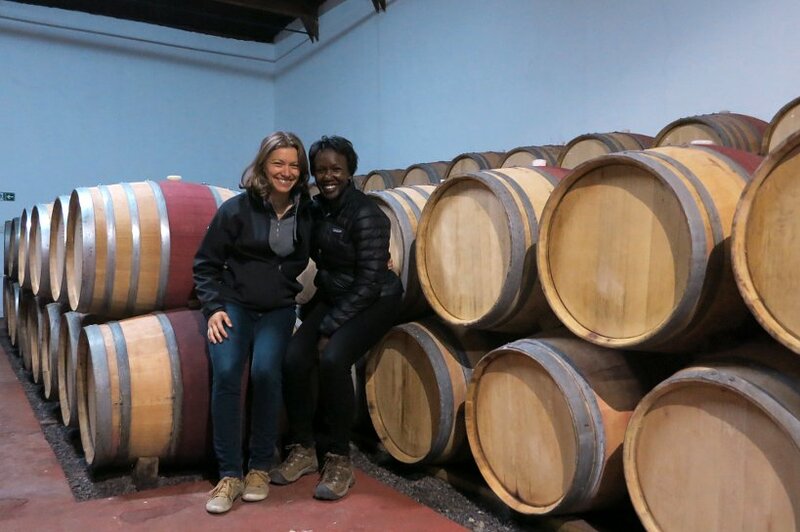 We visited the vines, saw the fermentation process and the cellars where their wines age in French oak barrels. An innovative vineyard, Gillmore has an exclusive hotel and spa on their property for private functions. What was also very interesting is the private aviary on their property where we saw ostriches, beautiful white doves (paloma) and peacocks in all their glory. A surprising and unexpected treat on a wine tour. The wine tasting consisted of two wines. One Rosé (2013) and one Merlot (2009). The Rosé wasn’t too sweet and easy to drink. One of the best we’ve had on our trip so far. The Merlot had a nice nose, though it had a very dry finish. Certainly better to be enjoyed while eating meat. While the wines were good, we were disappointed that we did not get a chance to try their signature wine which is a Cabernet Franc or the wines from Carignan vines, another of their specialties. The positives: Easy to make reservations. Beautiful grounds with private aviary. Good quality wines (approx cost for two visits $16.70 USD). Easy to get to via public transportation. The negatives: Limited selection of wines to sample. 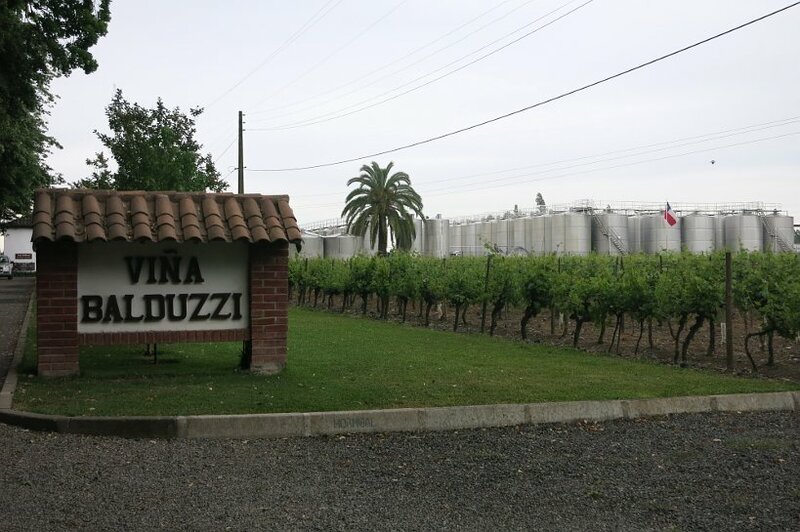 Balduzzi vineyard is another important winery in Maule Valley, which is family-owned and run by the 3rd generation of the Balduzzi family. The tour was led by Daniela, our friendly who spoke English perfectly. 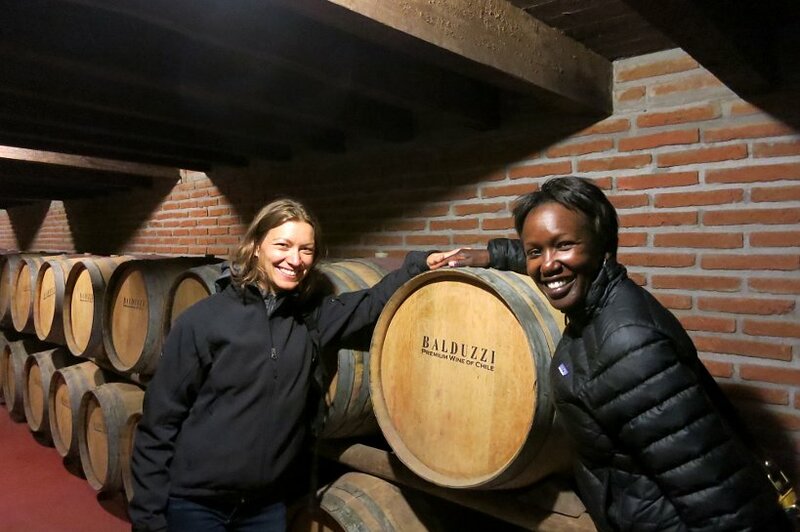 The tour included visiting the private collection of the Balduzzi family and their humongous fermentation tanks and large wine cellars. We learned how much the winery was devastated by the strong earthquake in February 2010. 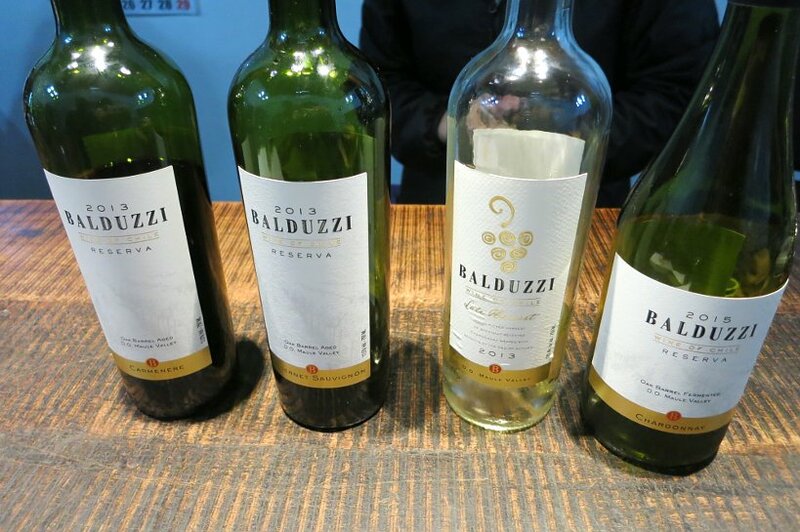 Balduzzi lost more than 600,000 liters of wine in maceration. 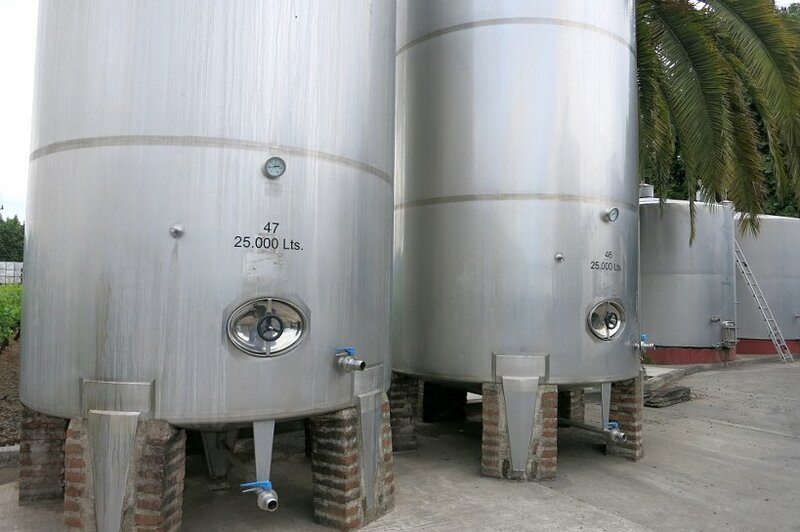 Twenty of their metal tanks flipped over on the property, creating a swimming pool of wine. Daniela reminded us that earthquakes are still quite common in Chile and it is not unusual to feel the earth move, practically every day. A little scary and it makes the earthquakes in Los Angeles pale in comparison. The wine tasting consisted of four wines. Two whites: one Chardonnay (2015) and one late harvest (2013) and two reds: one Carménère (2013) and one Cabernet Sauvignon (2013). Overall, we found both the red and whites fruity. The Chardonnay was a bit young but easy to drink, while the late harvest was surprisingly not too sweet and very smooth to drink. The Carménère is the emblematic wine of Chile and we were very curious and excited to taste it. The nose of the wine was deep and full of rich flavors. The taste was surprisingly quite soft in the mouth. Not what we expected, but are looking forward to trying it again. Our favorite wine was the Cabernet Sauvignon which was full bodied and had powerful aromas of tobacco and leather. Good with meat dishes. We had the chance to prolong our visit with Daniela and her co-worker. We got to learn more about the Chile wine regions and the wines to taste. We asked many question about Chilean wines and what makes them special. Their responses focused on the overall climate, which temperate all year round, the natural irrigation from the rain, and the natural exposition to the sun. We had a great time with them and felt that we knew much more about Chilean wines only after our first two winery visits in the Maule Valley. Their words of advice were to try the wines from the different regions which are all slightly different and to seek out the Carménère and Carignan. 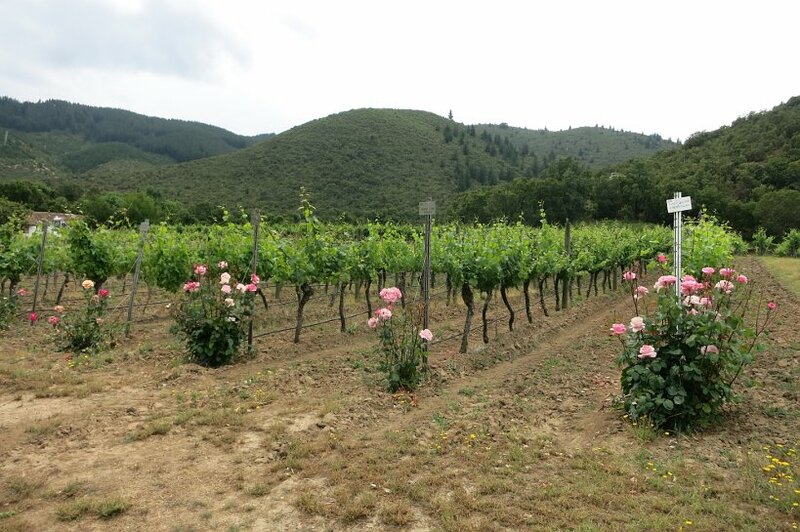 Stay tuned for more wine exploration in the Chile wine regions. The positives: Nice tour of the property, visit in English, very friendly staff. Good quality wines (approx cost for two visits $14.10 USD). The negatives: Nothing to eat with the wine tasting, but Daniela told us that they will be opening a restaurant very soon. What a wonderful welcome into Chile by warm and generous people. This first experience in Talca has been overwhelmingly friendly and hospitable. From the taxi driver, our generous airbnb host, to the wonderful wine tours, we felt really spoiled 🙂 Our initial impressions of the wines from the Maule Valley are really positives. We very much enjoyed the Cabernet Sauvignon and are intrigued by the Carménère. This week, try Chilean wines. See if any wines from the Maule Valley are available at your local stores. 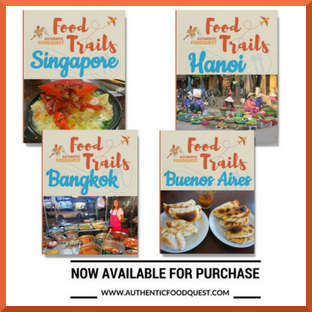 Give them a shot and be prepared for a burst of strong, wonderful flavors. We will continue to try out and showcase the wines from Chile and share our opinions. If you have any special requests, please let us know. Thus far our experience in Chile has been wonderful. We are looking forward to seeing how things evolve as we make our way to Santiago as well as discover other Chile wine regions and cities. 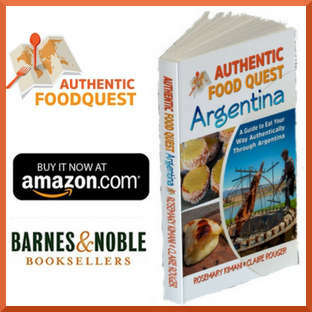 Join us on our quest! 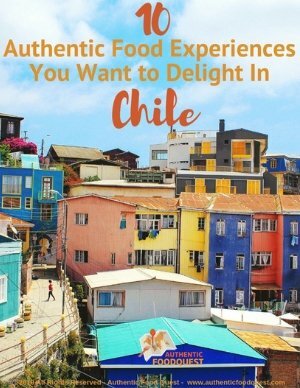 Great article that helps discovering the chilean wines ! Did you had the chance to test the chilean sparkling wines ? We haven’t tried the chilean sparkling wines (or espumantes) yet. It is on our list! We would like to visit couple additional wine regions here: Maipo valley close to Santiago, known for its large wine producers such as Concha y Toro; and Casablanca Valley close to Valparaiso known for its white wine. More to come! To continue on sparkling wines, could you also check if they are mostly white or red ? Just to see if the chilean flavours are similar to the italian ones where you can find the “prosecco” (white) and the “lambrusco” (red). As far as other type of sparkling wines, we saw a sparkling Rose wine advertised. We’ll let you know if there are any other types. Keep you posted! 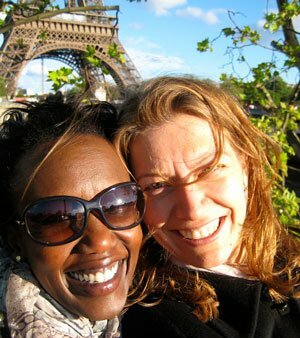 Thank you Mardene! Glad you liked the post. 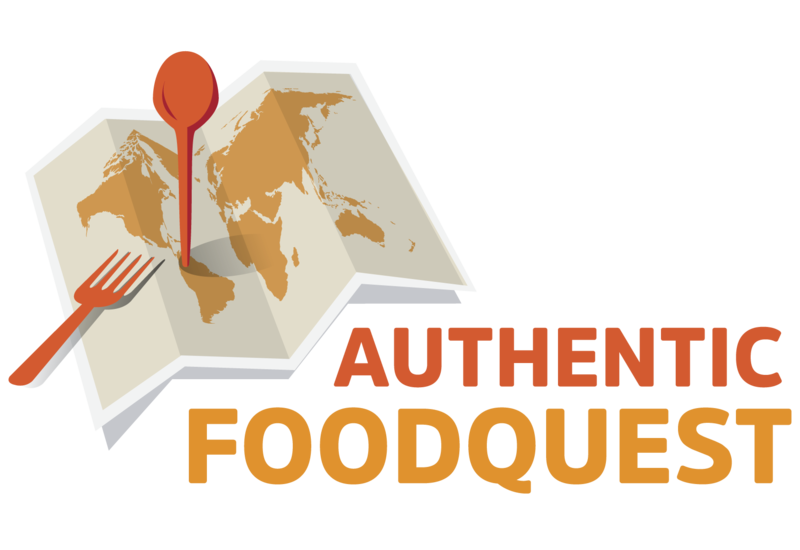 We hadn’t planned on Jamaica…though we are curious, what are the Jamaican specialties?